Wildcard Distribution announce new release Moon Man, an animated feature produced in association with Oscar-nominated Cartoon Saloon. Moon Man is a beautiful animated feature produced in association with Cartoon Saloon and based on a famous children’s book by Tomi Ungerer. 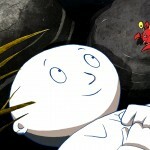 Moon Man, which screened at the Cork Film Festival, is the lively and offbeat animated feature from the Oscar-nominated producers of The Secret of Kells, Kilkenny-based Cartoon Saloon. ALONE, the charity which provides services for the one-in-ten older people in need of assistance, has welcomed elements of the HSE Service Plan published this morning, while commenting that the plan should have been more ambitious. The charity is also noting that all commitments announced in the HSE Service Plan should be measured against the National Positive Ageing Strategy, which the HSE has said it will “work in implementing”. Wildcard Distribution are delighted to announce the release of the fascinating documentary Far Out Isn’t Far Enough, The Tomi Ungerer Story in cinemas now. 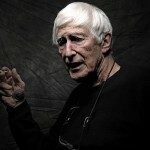 Brad Bernstein’s Far Out Isn’t Far Enough, The Tomi Ungerer Story wowed audiences and critics alike at the Jameson Dublin International Film Festival earlier this year, where it picked up the Best Documentary award. 9th December 2013: Will Ferrell, Steve Carell, Paul Rudd, David Koechner and director Adam McKay attended the Irish Premiere of Paramount’s Anchorman 2: The Legend Continues in The Savoy Dublin. Hundreds of people gathered on O’Connell street to catch a glimpse of the now infamous news team as they made their way down the red carpet to greet their fans and the Irish media who had gathered in force. 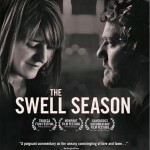 Wildcard Distribution are excited to give Irish audiences the chance to be captivated by the critically acclaimed documentary The Swell Season, in cinemas now. Reggie (Owen Wilson) is a turkey with more brains that most. As the rest of the flock obliviously gobble the abundance of food provided by the farmers, Reggie suspects fowl play. They are being fattened up for a reason….! Kicked out from the coop, Reggie is therefore surprised to find himself not on the carving table but pardoned by the President and transported to a life of luxury at Camp David – spending his days eating pizza and watching trashy TV, life couldn’t be sweeter. Wildcard Distribution are delighted to announce that Irish director Nick Ryan’s award-winning film The Summit opened in Irish cinemas on 22nd November. 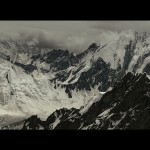 The gripping film chronicles one of the deadliest days in modern mountain history when 11 climbers, including Limerick man Ger McDonnell, lost their lives on the most dangerous mountain on Earth, K2. The film is from the Pat Falvey Productions and the producers of BAFTA winning The Imposter, and the writer of Oscar winning The Cove. In the dark action comedy The Family, Mafia boss Giovanni Mazoni (Robert De Niro – silver Linings Playbook, Goodfellas) breaks the sacred code of omerta and snitches on his crew. Given the identity of Fred Blake, he and his family are relocated to a sleepy town in France under the Witness Protection Program. 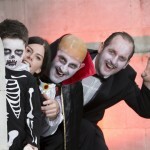 More than 20,000 visitors came in costume, were scared out of their wits, and walked the ghoulish streets of Dublin at this year’s ‘fangtasticly’ successful second annual Bram Stoker Festival. The Festival spread across Dublin City Centre, celebrated all things macabre, strange and supernatural mixed with some good-old fashioned Halloween fun. 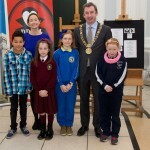 The Bram Stoker Festival was made possible by Dublin City Council and Fáilte Ireland.